at the physical, mental, or emotional levels is the result of what is occurring at the energy level of vibration. The whole human body is a receptor of sound, not just the ears. than simply hearing it has important therapeutic implications on a wide spectrum of conditions, physical, emotional, mental and even spiritual. When you are completely eneveloped in sound, your awareness takes on an entirely new depth. Your senses become fully alive, and intimacy develops with yourself. By delivering sound frequencies through or to the body directly, an entirely different system of the body spinal cord and areas of the brainstem and brain are brought into play with the possibility of a much deeper whole body response. The human body is over 70% water and since sound travels 5 times more efficiently through water than through air, sound frequency stimulation directly into the body is a highly efficient means for total body stimulation, especially at a cellular level. Sound frequency pulse waves played directly into the body also has a profound effect on the nervous system. Far reaching possibilities are inherent in using sound healing. Resonaance is the basis of every sound therapy and is the basic vibratory rate of an object. Everything in the universe is in a state of vibration. This includes the human body. Every organ, bone, tissue, and other parts of the body has a healthy resonate frequency. When that frequency alters, that part of the body vibrates out of harmony and this is what is termed dis-ease. Disease is an "out of tune-ness" of some aspect of the body. Tuning Forks have sound and vibration. 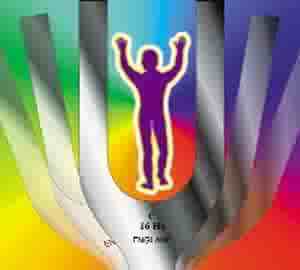 When tuning forks are used in a specific recipe through vibration and resonance, the forks are able to clear energy centers, promoting rejuevenation, relaxation, vitality and freedom, washing away illness and the possibilities are endless. Another modality is Toning. Toning is using your voice as an instrument for healing. It is an ancient method of healing. The idea is simply to restore you to your harmonic patterns. Toning can be used as an effective use of sound. We can learn to use our voice and resonate different areas of our body and bring them into balance. Toning releases tension in specific areas, enduces relaxation, energy and promotes deep breathing with prolonged exhalation. Energetically, it balances the body's subtle energies and powerfully draws the awareness deep within. A Sound Table is also used for vibrational healing. It is a bodywork table with a complete stereo system mounted within the table's structure. It is a doorway to super learning through a more complete experience of sound. The components of the table vibrates the main platform causing the frequencies of the sound to bathe the body in vibration. You feel the music on all levels instead of just hearing the music. The leading edge of technology is growing in Sound Energy Healing through vibrational sound and music. We are truly blessed to live in such a day.